Sit before your warm blaze, and adorning your fireplace is The Richmond - a wooden fireplace surround with a classic nod to antiquity. Imagine yourself opening gifts during the holidays with your young ones or sipping egg nog with your family members. 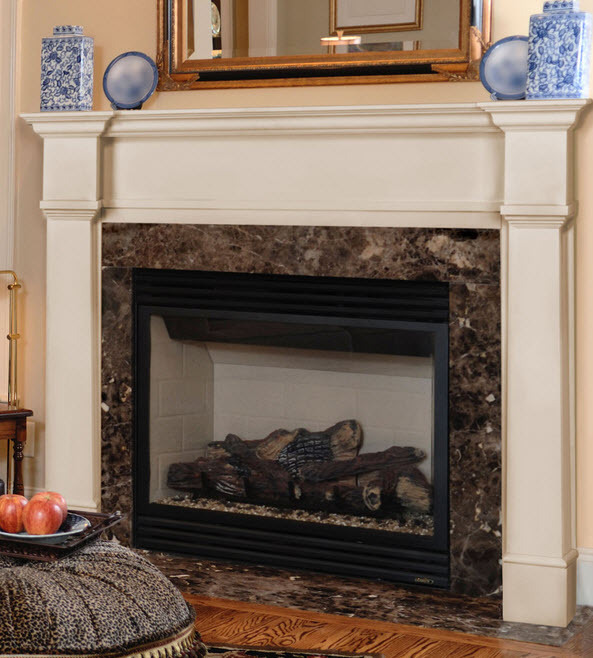 Whatever traditions you may have, the Richmond wants to be there, showing off your fireplace with flair and mystique. The Richmond Surround is a contractor favorite as it is a cost effective solution when adding the final touch to any home and hearth. 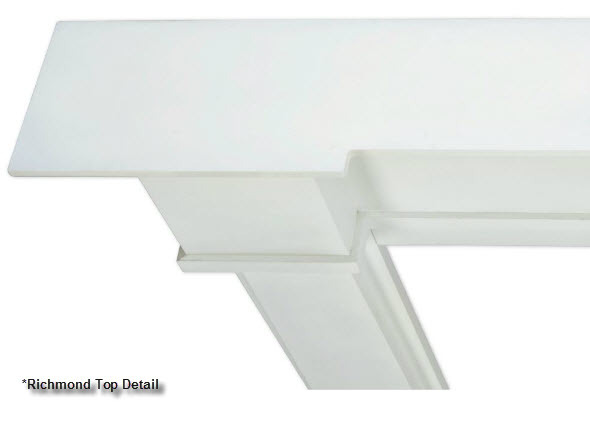 The Richmond Fireplace Mantel is constructed of a durable MDF material that is primed and ready for immediate painting. The 8 inch shelf depth allows for the displaying of family portraits, mantel clocks, and or anything that you would like to place on display. 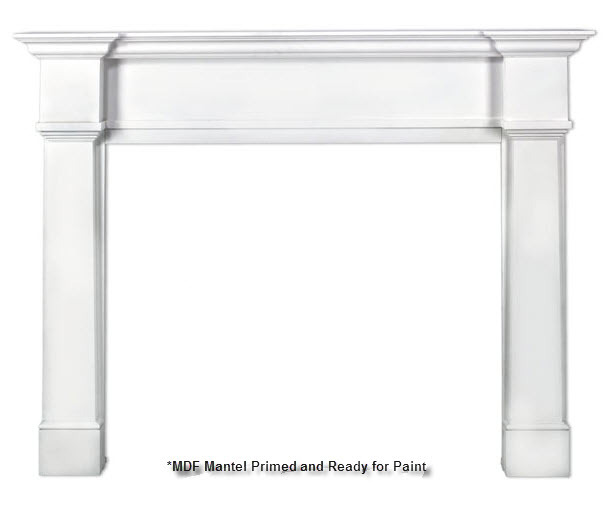 The Richmond Fireplace Surround 48" 56"
Projection: 1 1/2" 1 1/2"
Overall Height: 57 1/4" 57 1/4"
*All fireplace surrounds should be installed according to local building codes.